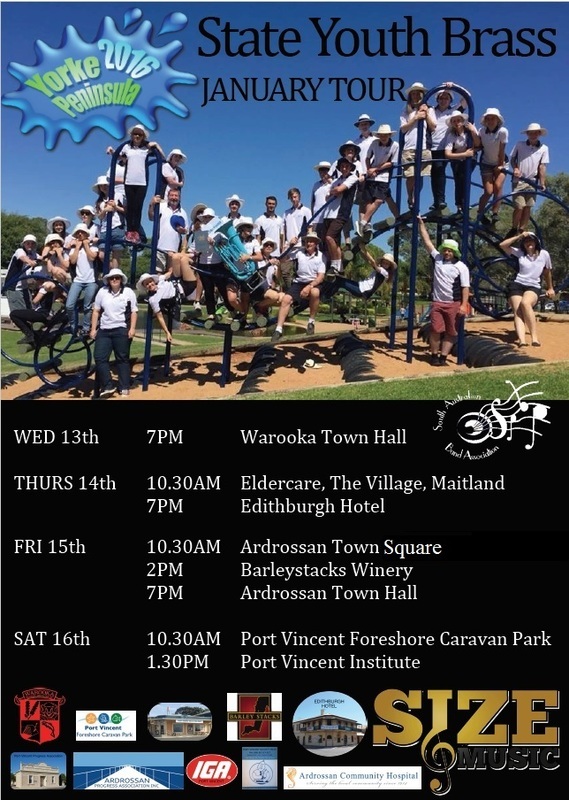 Following the success of the 2015 SASYB Camp and Tour the South Australian State Youth Brass Summer Camp and Tour is on again and will take place on the 11th - 16th January 2016.  Brass and Percussion players 24 years and under are encouraged to apply for this opportunity to travel through across the Yorke Peninsula, based in Port Vincent. 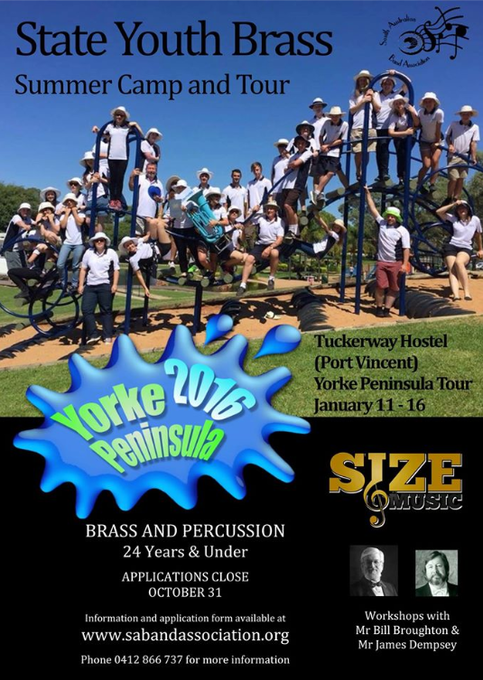 Under the skillful guidance of former ASO Trumpet, Jim Dempsey and Internationally renowned Trombonist, Conductor and Composer, Bill Broughton, the 2016 SASYB Camp and Tour will storm the Yorke Peninsula with a series of concert s to delight all (with the Blue Tuba). The SABA State Youth Brass will be holding concerts at the following venues and times during their 2016 Tour..